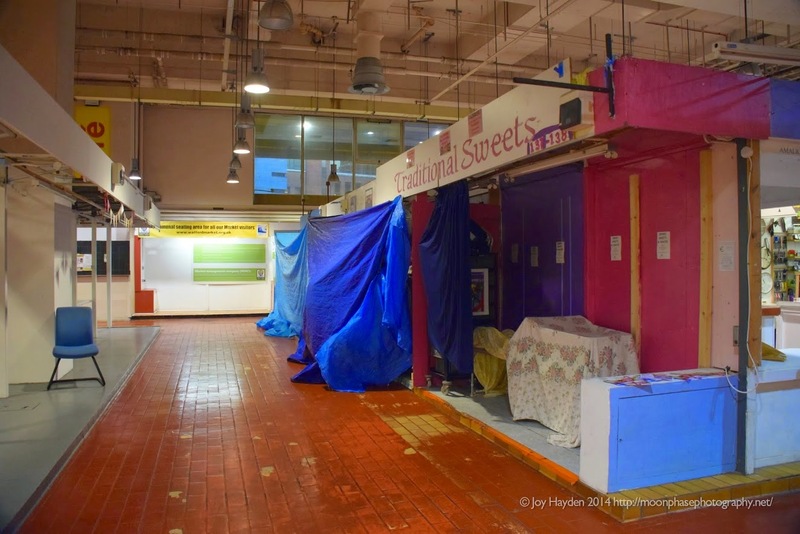 So on Saturday 4th October 2014 the curtain finally closed on #WatfordMarket in its current location in Charter Place. For some 38 years the market has been resident there... and I was still a young schoolboy attending Watford Boys Grammar School when the doors first opened, I can recall many a time walking through the market en-route to Clarendon Road to catch the 318 to Abbots Langley. Although many of the traders had already departed the Market as you can see by the picture to the left, there were still a good many trading until the final day. Allegedly there was a small closing celebration organised by Watford Council or the Market management team after the market closed... although they were asking the traders if they wanted to make a contribution to the nibbles and drink... this went down like a concrete zeppelin with some I spoke too... an offer of some runner beans and figs was surprisingly turned down. The new market opens in its new home a little bit further up the high street to the right of the Flyover next Friday 10th October with the only trading day being missed this Tuesday. The new market will be open 5 days a week... Tuesday through Saturday. The 5 day opening regime has prevented many of the existing market traders from moving to the new market on account of their business being part time or being present in other locations on other days of the week. There is still some concern whether the electrics will be installed and functional for the grand opening on Friday, certainly there is still much work to do before the end of the week. After a number of delays and what seemed like an ever shifting set of dates for the move, it's now definitely happening... I know both +Alex Murray and myself will get along to the new Market on Friday... we will be there again trying out the new Coffee location on Saturday as well from 10:00am... see you there?